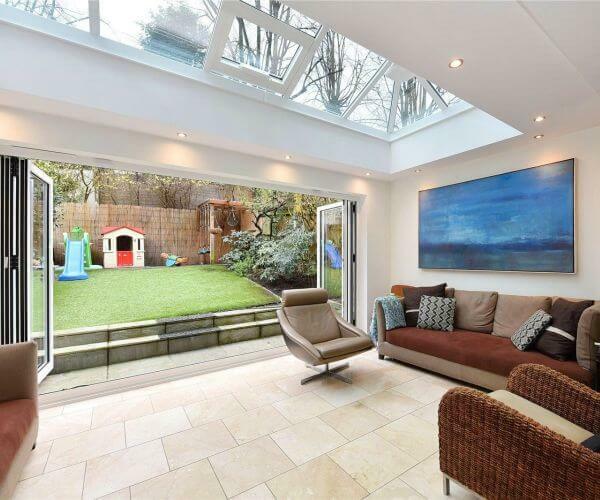 We at Vivaldi Construction have been a successful family run business since March 2000 and in that time we have seen incredible change in the bespoke orangery & conservatory market from largely inefficient polycarbonate conservatories to high technology, all year round usable rooms. In our years of trading we have always followed the philosophy of doing a great job to the highest possible standard and charging a fair price to do so. We truly believe in building perfectly suited projects to leave our clients with a bespoke conservatory, orangery or home extension that they will be proud of and that completely fulfils their personal requirements. Hardwood ironstone orangery with additional tiled roof, bi-fold doors and bi-fold windows. Thermally efficient: All of our bespoke orangeries and conservatories use high quality materials, including nano-coated technology glass which can be specified to reject up 80% of solar heat gain and performs just as well at retaining heat. The incredible thermal efficiency of our bespoke orangeries and conservatories mean they will become an integrated all year round usable part of your home. 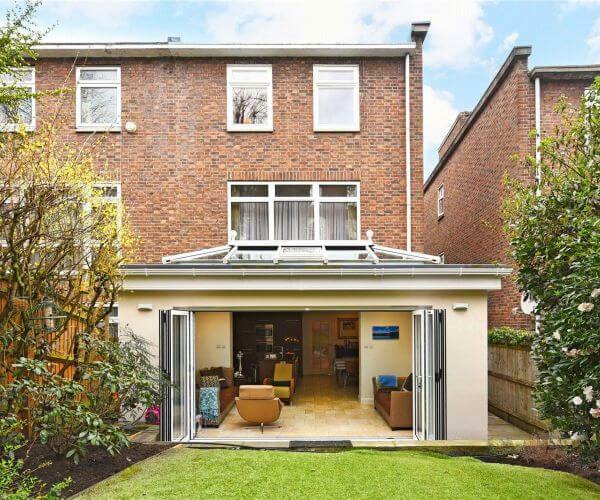 Bespoke & tailored to your requirements: Our construction projects are all bespoke designed and manufactured and are therefore discussed in depth with the client before work begins in order to make sure that all the boxes are ticked when it comes to their requirements. 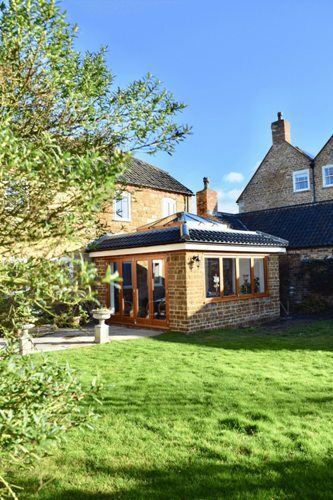 Whether the client wants a bespoke conservatory or orangery with a fully glazed roof, partly glazed/ partly solid insulated panel or a more traditional tiled roof we can call upon our wealth of experience in the bespoke construction industry to make it happen. Insurance backed guarantee: We can provide complete peace of mind through our membership of the Consumer Protection Association. The CPA allows us to provide an insurance backed guarantee on all of our bespoke conservatories, orangeries, home extensions, home improvements and window projects. Aluminium Loggia conservatory, incorporating bi-fold doors and insulated columns. We supply and install a full range of bespoke projects from traditional orangery designs to the most modern conservatories and can use uPVC, aluminium and hardwood for all of our bespoke orangeries and conservatories. Why buy an off the shelf mass produced conservatory or orangery when Vivaldi Construction can construct a room that reflects your personal style. A Vivaldi bespoke orangery and conservatory represents the ultimate evolution of the bespoke glazed extension into a room that is structurally sound and thermally efficient enough to be enjoyed all year round. At Vivaldi we are proud of what we build, structurally and aesthetically, and therefore will only build bespoke orangeries and conservatories to a standard we are happy with, this always far exceeds the industry standards. For example, all of our bespoke orangeries and conservatories projects are structurally proven to withstand 130mph winds. Our latest technology glazing is ideal for orangeries and conservatories. We can achieve a remarkable heat retention performance and reject up to 82% of solar heat gain with only a minimal effect on the amount of natural light. This means even orangeries and conservatories that have a high proportion of glass will be warmer in winter and cooler in summer. Bespoke orangery extension with hybrid tiled/ glass atrium roof. During the many years since we established we have amassed an enormous number of delighted clients and as a result we have been able to expand our business without advertising, based purely on the conservatory recommendations of our clients. Prior to making a decision regarding which company you choose to construct your bespoke orangery or conservatory, read this genuine recommendation supplied by a client. Below is a list and a short description of the associations and certifications we at Vivaldi have attained. Unfortunately, many homeowners have experienced poor workmanship and unethical types of construction by rogue builders which has resulted in leaking roofs, failing foundations and even collapsed conservatories and orangeries. At Vivaldi, we understand the concerns of homeowners when it comes to purchasing bespoke orangeries and conservatories and is the reason why we like to showcase our large array of top certifications to put our clients minds at ease. Which? Trusted Traders: As an approved member of the Ultra Installer scheme we have to meet the high standards of both Which? Trusted Traders and Ultraframe in terms of service and quality. To ensure you get the highest quality of service here’s what you can expect from our business. Ultra installers: An elite group of quality contractors, the Ultra Conservatory Installers are well known to Ultraframe, a leading bespoke orangery and conservatory manufacturer, and have also been independently assessed and approved by the British Board of Agrément (BBA), the UK’s major approval body for new constructors, products and installers. CPA: Only top rated tradesmen with the best reputations and work history are good enough to become CPA members. The CPA provide their members clients with insurance backed guarantees on bespoke orangeries and conservatories along with other home improvement projects, deposit protection and general independent advice and support. FENSA: FENSA was set up to allow registered companies to self-certify that their installations comply with current Building Regulations.